Australia has the third highest number of international students in the world behind only the United Kingdom and the United States.Like many countries, the Australian education system is divided into three broad sectors: Primary school, Secondary school and Tertiary education. Each of these sectors features both public and private institutions, although the majority of private institutions also receive some government funding. There were about half million international students studying on a student visa in Australia in 2015. School education in Australia is compulsory from the age of five to six to the age of fifteen to seventeen depending on the state or territory. In 2013 there were 9,393 schools in Australia and includes preschool, preparatory (or kindergarten), primary school, secondary school (or high school) and senior secondary school (or college). Tertiary education in Australia is divided into two sectors; Vocational Education and Training (VET) and Higher Education. There are 43 universities in Australia and other institutions offering higher education courses which lead to Bachelor, Master and Doctoral Degrees in various fields of study from science to management and commerce, humanities to engineering, and law to health sciences. According to QS World University Rankings, there are 8 Australian universities in the top 100 universities in the world. Quality of Higher Education is assured by Tertiary Education Quality and Standards Agency (TEQSA). Vocational education and training (VET) enables students to gain qualifications for all types of employment, and specific skills to help them in the workplace. VET qualifications are provided by government institutions, called Technical and Further Education (TAFE) institutions, as well as private institutions. The Australian government ensures the quality of VET education through Australian Skills Quality Authority (ASQA) for more than 1.2 million students – including some 125,000 international students involved in vocational education and training. There are a large number of English language colleges throughout Australia offering a range of English courses to suit a range of study needs. Foundation Studies programs are designed specifically for overseas students and aim to ease the transition from a student's school education in their home country to university study in Australia. Most Foundation studies programs last 1 year and provides an introduction to the field of study the students will undertake in their degree course. Your visa is subject to a number of visa conditions that you must comply with. Different visa conditions apply to you and your family members. If you’re granted permission to work, you cannot work until you have commenced your course in Australia. Once your course has commenced you are permitted to work a maximum of 40 hours per fortnight when your course is in session, and unlimited hours when your course is not in session. 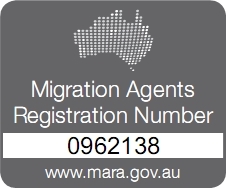 Students can find more information about their student visa work conditions using the Visa Entitlement Verification Online (VEVO) system. The Temporary Graduate visa allows eligible students to live, study and work in Australia temporarily after they have finished your studies. Graduate Work stream is for international students with an eligible qualification who graduate with skills and qualifications that relate to an occupation on the Skilled Occupation List (SOL). A visa in this stream is granted for 18 months from the date of grant. Post-Study Work stream is for international students who graduate with a higher education degree from an Australian education provider, regardless of their field of study. A visa in this stream can be granted for up to four years from the date the visa is granted, depending on the visa applicant's qualification. On 1 July 2016, all international students will now apply for a single Student visa regardless of their chosen course of study. All applications for a Student visa should generally be lodged online using a new immigration risk framework with the Department of Immigration and Border Protection aiming to finalise 75 per cent of complete student visa applications within one month of lodgement. ACN offers free student visa assistance if you will be enrolling with our accredited partner education providers. Students availing of the Free Student visa assistance are required to pay our partner education providers, insurance providers, panel doctors and the Department of Immigration and Border Protection (DIBP) visa charges directly. Please contact us for our current offers and discounts offered by our partner institutions.